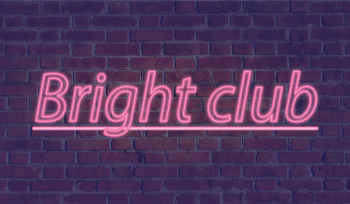 Bright Club is an evening of stand-up comedy by researchers for everyone else. Researchers will transform into stand-up performers and deliver a comedy set around their life and work as a scientist. Join us for a hilariously educational evening on March 27th at RITCS café. MC’d by Jovanka Steele, guest performance by Steve Day. More line up details coming soon. Keep an eye on this page.